See you soon at Comfort Hotel Xpress Tromsø. Here is some useful information for anyone wanting to stay with us. We're all different. Some like breakfast in bed, others like it in a take-away bag. Whatever your preference, you can always buy a delicious, fresh breakfast from our lobby shop. Grab whatever takes your fancy and go explore Tromso, or put your feet up in our lobby lounge and eat, meet and browse the web. If you come by car, we recommend that you park, for a fee, in a nearby parking garage. Contact the hotel for more information. Check in via your mobile phone, the Internet or one of our lobby check-in terminals at the hotel when you arrive. You can also use your phone as a key unless you prefer a traditional key. There is free WiFi access throughout Comfort Hotel Xpress Tromsø. You can buy snacks and lighter meals in our lobby shop. We sell everything from breakfast and drinks to salads and snacks, plus lots of other stuff which is useful when you're travelling. 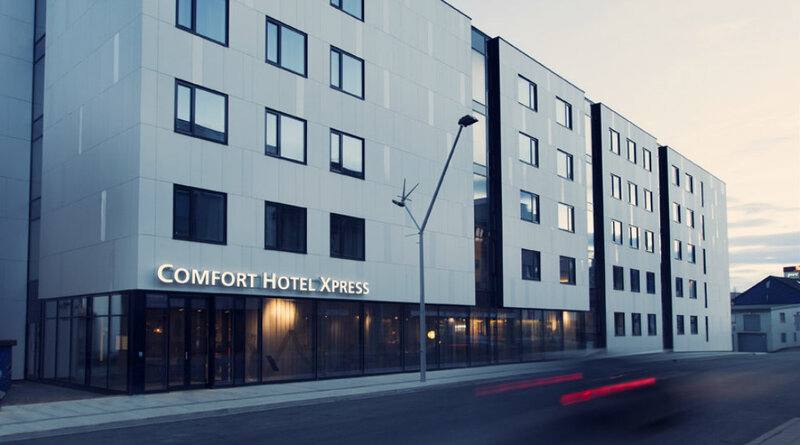 Comfort Hotel Xpress Tromsø is a cash-free hotel. This provides a safer working environment for our staff as it reduces the risk of theft and burglary. It also means that we have more time to spend on taking care of our guests. For guests it means faster and more secure payments. We accept all major debit and credit cards. Please contact us for more information.